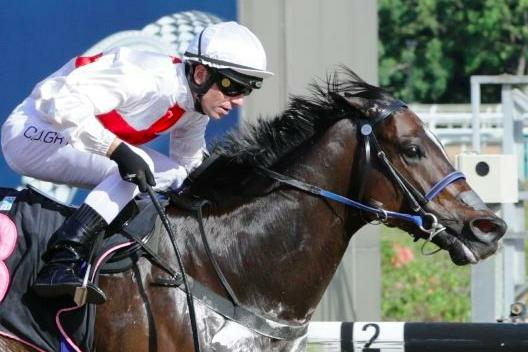 Argentinian-bred galloper Al Green sprang an upset when he claimed a few big scalps in the $100,000 Kranji Stakes B Division 1 race over 1000m on Sunday. The Exchange Rate five-year-old ran a solid third to Iron Man at his last start over 1400m on December 1, but with Tannhauser ($8) and Deimos ($16) almost obliterating the other names in the market, most thought if he was to produce his best over the shorter distance, he would still have to settle for a place cheque. But racing is never a game of certainty. Al Green (Craig Grylls, $91) for one was not read the tote market order when he emerged as the unlikely horse being hailed the winner at the top of the straight.